J&P Professional Property Inspections is the leading independent home inspection company in the entire New York area, providing comprehensive home, building and apartment inspections along with Termite inspection, which is guaranteed for one (1) year, and radon testing services in and all of its surrounding counties in New York State. Since 1971, J&P Professional Property Inspections has been helping people make informed decisions about their home purchase, both residential and commercial. We work for YOU and YOU ONLY – Top to bottom you will know the condition of the home that only an ENGINEER can give you!! Be aware, not all inspectors are engineers and there is a big difference. Our professional, full time certified and licensed home inspectors provide you with the details and knowledge you will need to buy or sell your home with confidence. We provide residential and commercial inspections for buyers, sellers, mortgage companies, and relocation companies. All of our home inspectors are members of the American Society of Home Inspectors (ASHI), the National Association of Home Inspectors (NAHI), and the National Association of Certified Home Inspectors (NACHI). We specialize in single & multi-family homes as well as High end Condo/Co-Ops apartments – new construction and are very experienced in developing itemized and detailed punch lists and remaining scope of work before buyer / seller turnover. If you are selling your home, get ahead of the prospective buyers and have a pre-purchase inspection to address issues early expedite the sale of your home. Please browse our site and contact us directly with any questions you may have. Direct phone calls are always the quickest ways to contact us. Thanks for dropping by! Inspections in English or Spanish and we service all of Boroughs of NYC, Westchester, Rockland, Nassau & Suffolk Counties and beyond if necessary. If you need us,—- we’ll be there!!! 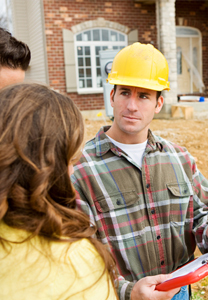 As a licensed, certified NYS Home Inspector and Engineer we have completed many different types of inspections. Every inch of the property is inspected including all structural, electrical, air conditioning system and plumbing. We will notify the client of any item that is noted. We provide quality color photos with every inspection. You will understand every item by the time we are finished. For more than a 30 years our inspectors have provided honest, objective, and thorough inspection reports. We have the training, experience and skills to provide you with an accurate inspection. Nothing beats experience when checking whether your potential home has problems or not. From the first contact with us through the inspection delivery and explanation of your report, you will experience the ultimate in professionalism.